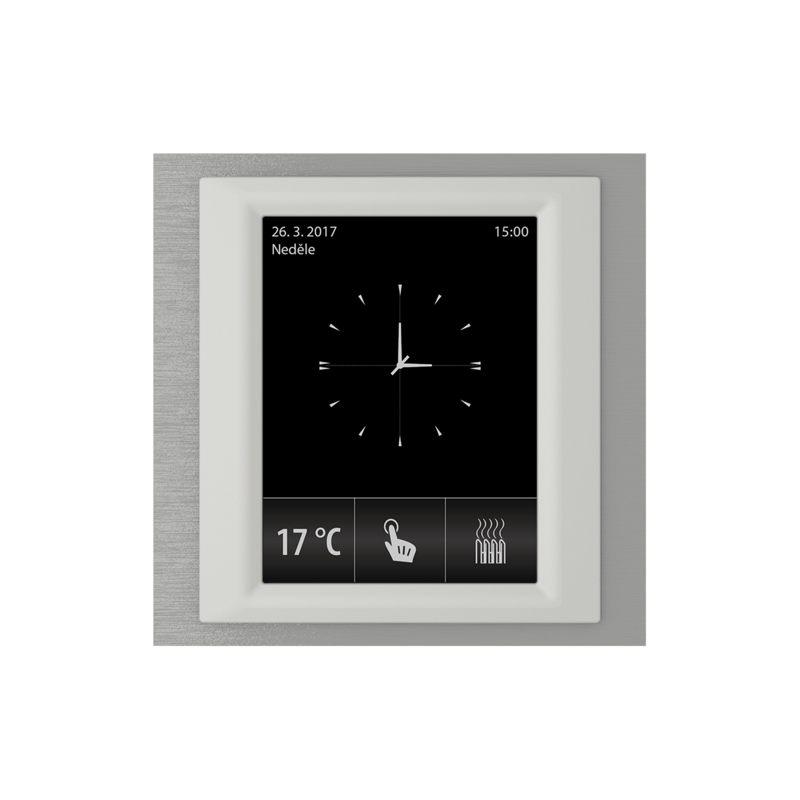 Wireless touch unit RF Touch is a central unit to control heating, switch home appliances and devices, dim lighting, control shutters. Transmit and receive commands from units, process the set programs for automatic regulation and control. Thanks to two-way communication it visualizes the current status of individual units. Automatic control based on the weekly program. 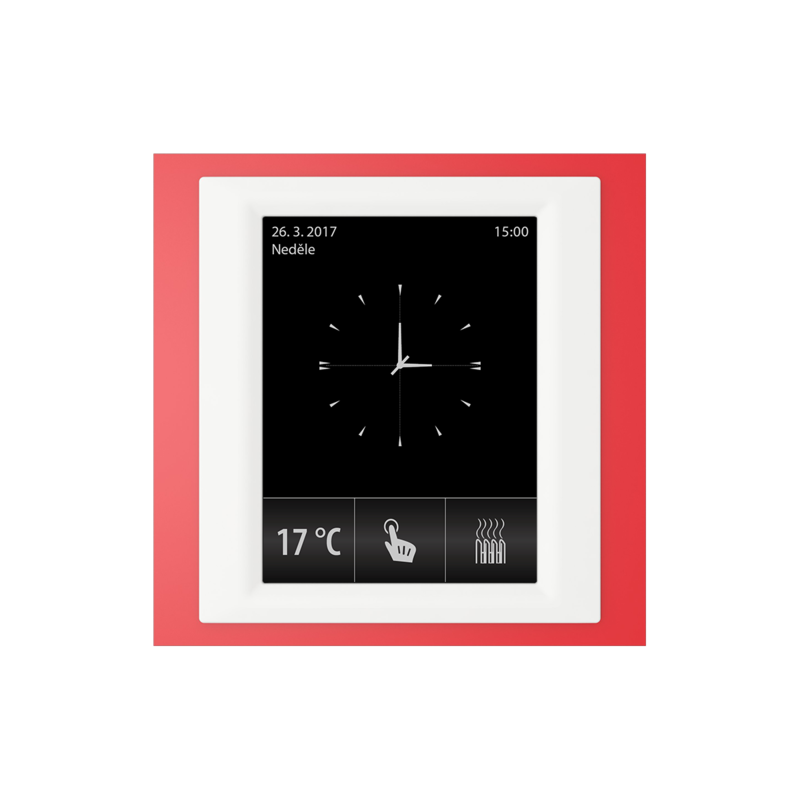 RF Touch frames in basic plastic design (white, black, red) and LOGUS90 luxury design (glass, metal - aluminium, nickel, titanium). Intermediate frames - white, dark grey, metallic finish - aluminium, pearl, ice, grey. RF Touch-W back cover - white, ivory, light grey, dark grey. Power supply AC 100 – 230 V.
Touch 3.5 inch color TFT LCD display. Range up to 100 m (free open space), in the case of insufficient signal between controller and unit, please use the signal repeater - RFRP-20.